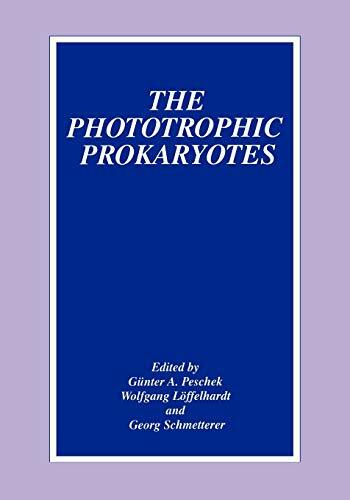 This book contains the Proceedings of the Ninth International Symposium on Pho­ totrophic Prokaryotes (IXth ISPP) which was held in Vienna, Austria, from September 6-12,1997. In 1973, the far-sighted efforts of Gerhart Drews, Roger Y. Stanier, and Nor­ bert Pfennig launched the first ISPP as a joint forum for scientific discussion of all aspects of research on phototrophic prokaryotes, both anoxygenic and oxygenic (cyanobacteria or blue-green algae). The ISPP International Scientific Committee, a rather loose community of scientists (see page vii for a list of current members), has since been responsible for the organization of the ISPPs on a triennial basis, without any dedicated financial support from a society, membership fees, or similar. The success of the ISPPs is therefore due to the continued enthusiasm of the scientific community for such a forum, as exemplified by the rise in attendance from 79 (1 st ISPP) to more than 400 active scientists (plus depen­ dants) from all five continents in Vienna. Comparing the Book of Abstracts of 1973 with that of 1997 reflects the tremendous change that has occurred in the last 25 years in scien­ tific research on phototrophic prokaryotes. Two noteworthy examples of such change are the significant shift in emphasis from anoxyphototrophs to cyanobacteria and the advent of molecular genetics, culminating at the 9th ISPP in the first complete genomic DNA se­ quence of a phototrophic prokaryote, viz. the cyanobacterium Synechocystis sp. PCC6803. This work represents a concise scientific summary of the latest results of scientific research on phototrophic prokaryotes. It covers in depth the huge variety of bacteria capable of utilizing light as their energy source, all aspects of structure and development, genetics and molecular biology, experimental and physiological ecology and taxonomy, and metabolism and bioenergetics.